Chanting of mantras is a common practice among Hindus, Buddhists, etc is given a lot of importance especially among Brahmins. But what exactly is the purpose of doing so what are the angas(components) involved in the japa of a mantra? This post will try to explain some of these concepts. One, for fulfillment of our desires, and another to reach god. Based on this, mantras are classified as Loukika mantras (used to fulfill our desires), moksha mantras (used to reach God) & some for both. Every mantra has Shadangas ie. six parts. If we chant a mantra with knowledge about these six parts, then we get the benefits with great harmony.The benefits then come as Prasadam-sacred gifts from the Lord. *1)”Rishi”* means the person who did japa of that mantra for the first time and got siddhi of that mantra. Some rishis also discover mantras, then they become the rishi of that mantra. Rishi is the seer of the sound syllable in the mantra. *2)”Chandas”* tells the actual pronunciation of that mantra. That is how we should pronounce that sound ( mantra) while doing japa. Chandas means the metre of chanting the mantra. *3)”Devatha”* is the deity (God or Goddess) who personifies the mantra and grants the mantra practitioner the benefits for doing japa of that mantra. Generally for each mantra there will be an Adhisthana Devatha(primary deity) with a specific dhyana rupa (form to be held in the mind). *4)”Beejam”* resembles the basic character (tattva) of the mantra. It is the seed-sound syllable of the mantra.For example, jala tatva(soft), agni tatva (hard) etc. *5) “Keelakam”* is the key to open the lock to get results. We cannot see or get any thing from a house with out opening the lock. In the same manner, we cannot get any result from a mantra without performing keelakam. In mantra japa, we should do this for getting results.This lock is released by the Guru through His realisation of the mantra,releases the Chaitanya that consciousness of the mantra, so that the mantra becomes alive for the practitioner to practice and develop the sound to percolate in his own consciousness. *6) Shakti* is the power of mantra. This is the power we get, when we chant a mantra.This is the potency of the mantra, which determines the scale of it’s reach and benefits it can accrue to the mantra practitioner. These are the six parts(Shadangas) of Mantra japam. However, there are some other components too present in mantra japam, which of equal significance. They are *Kavacham, Sankalpam and Artham*. *”Kavacham”* is the protection from bad elements to obstruct mantra japam. Some times there may be some dangers which will come based on our capacity and suitability to do chanting of that mantram. Distractions can occur due to our own internal vaasanas temptations, and many other external societal disturbances. To overcome these, we have to wear this protective coat ie. the Kavacham. *”Sankalpam”* This is the most important thing of mantra japam that gives results for chanting. Sankalpam deals with the reason for which we are doing this japam. We have to set a goal for doing mantra japam, ie. to reach god or to fulfill any desire etc. Without setting a goal, the mantra japam may not continue for a long time and the benefits for doing mantra japam are not recognisable. That means the effect of mantra japam will be useful in some other means, that we may not recognise. So to get perfect result from mantra japam we have to do the sankalpam.To form a sankalpam gives character to the process of mantra japam. 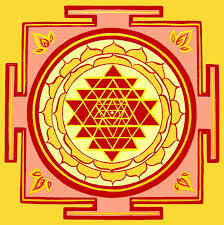 *”Artham”* is the meaning of that mantra. When you visit a doctor and when the doctor prescribes medicines for your ailment, are you aware of the details of the composition of the medication? No, you are not; but that does not mean that just because you don’t understand what the medication contains the medication will not affect you.The medication would certainly act on your system even though you don’t know it’s composition. Similarly, mantra japam will certainly give positive results even though you don’t understand it’s composition and meaning. However,knowing the meaning of the mantra will clarify several doubts regarding the mantra. These are related to the mantra japam for fulfilling our desires, ie. Loukika mantras. But in case of Moksha mantras ie. like Rama mantram or Namah shivaya (panchakshari), we should care for the devotion towards the deity & not towards Shadangas of the Mantra japam. Although Moksha mantras have shadangas, they can give result only through chanting. Valmiki is the best example. He did Rama nama japam in reverse, with out knowing the meaning, Shadangas,etc. But he reached his goal, got moksha, became a maharshi and wrote the Ramayana. The Lord sees only the devotion towards Him, and not the knowledge about the aspects of the mantram in these cases.